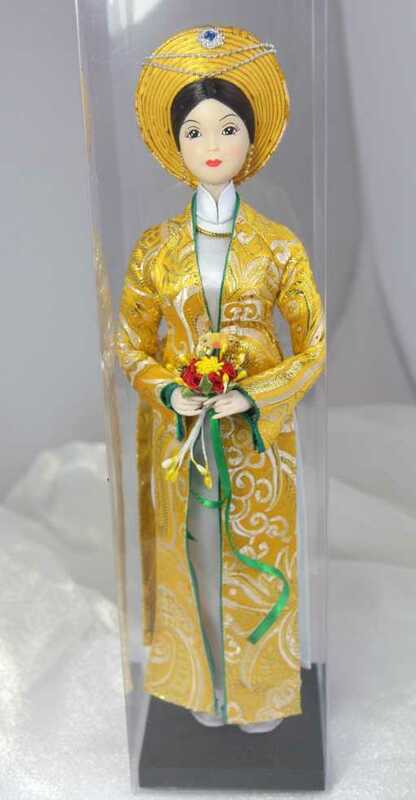 Beautiful Vietnamese bride wearing gold and silver wedding dress, hand made by master Hoang Kim. 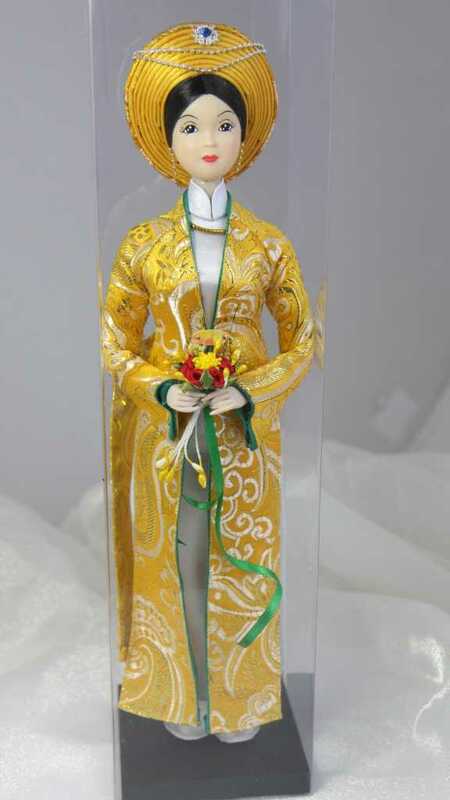 This is a royal outfit, made with real beatiful silk, imitating the outfit of the last queen of Vietnam, Nam Phuong's queen (The wife of the King Bao Dai.) 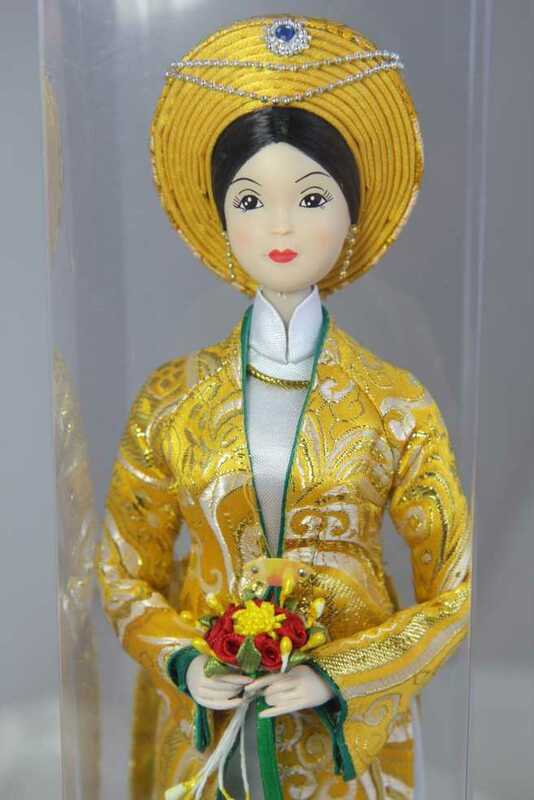 Today, many vietnamese brides wear this outfit in wedding ceremony. Please click on the pictures to see and appreciate the detail.